Gritsenko V.I., Bazan L.I. Digital Economy Transformation. P. 3-16. Palagin A.V., Boyun V.P., Yakovlev Yu.S. Intellectual Memory System with the Partitioned Modules on FPGA and Ring-bus Circuits. P. 17-25. Kyyko V.M. License Plate Localization and Recognition in Images. P. 26-34, 40. 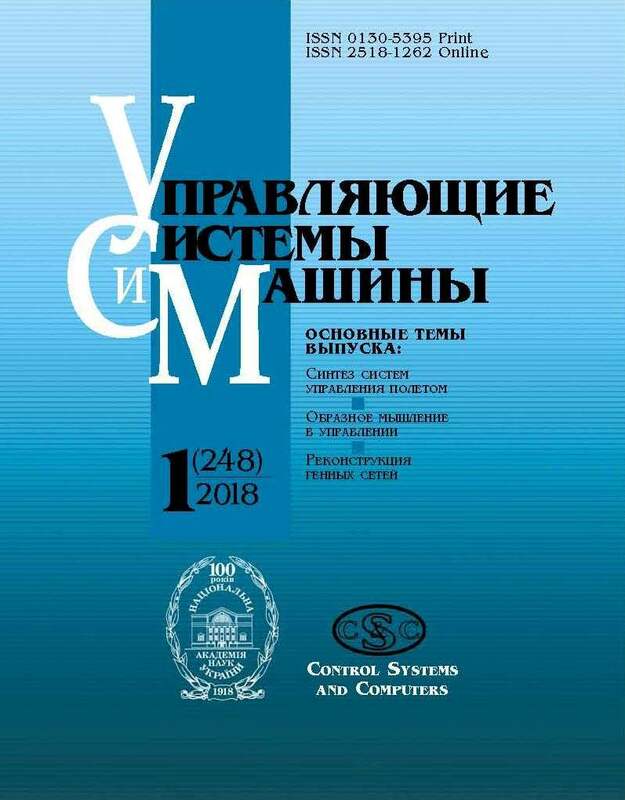 Babakov R.M., Barkalov A.A. Microprogram Finite State Machine Modification with the Datapath of Transitions and Replacement of the Input Variables. P. 35-40. Fefelov A.A., Litvinenko V.I., Taif M.A., Voronenko M.A. Reconstruction of the S-System by the Hybrid Algorithm of the Clonal Selection and Differential Evolution. P. 41-51. Lisetskiy Yu.M. Technology of Efficiency Comparison for Alternatives Estimation and Selection Methods. P. 52-54. Kryvyi S.L., Antoniuk V.T. The Implementation of the Algorithm for Solving Systems of Linear Dio-phantine Equations Over Finite Residue Rings. P. 55-64. Voloshenyuk D.A. Airplane Landing by the Curvilinear Glide Paths in Limits of the Border Trajectories Modelling Method. P. 65-70. Bardachov Yu.N., Zharikova M.V., Sherstjuk V.G. Event-Network Model of Distructive Processes for the Real-Time Risk-Oriented DSS. P. 71-83. Melnikov S.V., Bondar S.A., Volkov A.Ye., Gospodarchuk A.Yu. Modern Unmanned Aerial Vehicle Control Systems. P. 84-90. Alphabetical Index of Names, 2017. P. 93. Systematic Index of Articles Published in 2017. P. 94-96.